This is an app for the Portuguese main league of football, comissioned by NOS - the biggest telecommunications and media company in Portugal. The app works on mobile and tablet devices, both iOS and Android. With NOS’s guidelines in mind we arrived at an app structure. This is the detailed version. I like to specify what’s going where with the most possible detail, because it gives me a visual mind map of everything and I find it helpful when I’m designing the mockups. Most of the time I like to try several approaches to the same screen before deciding on the best. This is especially true when dealing with complex amounts of information. Here you can see the game screen for the android tablet, which was one of the main screens in the app. It had several states - before, during and after the game - and was accessible from different parts of the app, so I played around with it a lot, and tested several possibilities for layout and navigation. When the project first started NOS wasn’t a main sponsor of the championship yet, which meant we couldn’t use any of the official branding materials. So I started out by creating a brand for the product - one that conveyed both the league of football and the company’s recent brand language. Later on NOS became a main sponsor and we had to change the branding materials in the app to convey the new official brand for Primeira Liga. 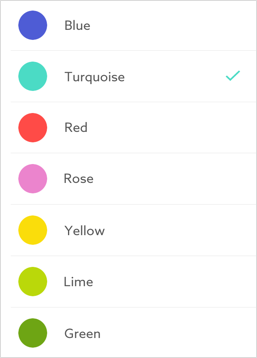 However, we kept the same color approach throughout the app since the palette did not change.